Connecting sport-based professionals to break down barriers, drive social change and increase dialogue. 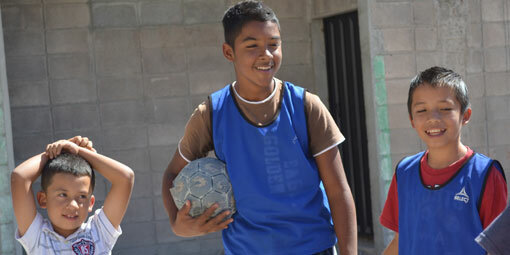 Sport is a universal language—it transcends borders, language and socioeconomic barriers. Since 2002, Partners has implemented multiple Department of State funded sport-for-development exchange programs that leverage sport to improve leadership, engage coaches and youth, and promote mutual understanding. Lessons from the field, including communication, respect and teamwork, apply beyond the stadiums and into the community. We ensure our exchange participants are equipped with the networks and skills to emerge as community leaders and sport-for-development advocates. Links youth, coaches, administrators, and NGOs using sport for social change in Venezuela with partners in Tennessee to exchange knowledge and strategies in using sport to address community challenges.